Our home game luncheons are famous for their outstanding fare (a beautiful carvery lunch provided by club partner Spitting Image Catering, insightful guest speakers and of course the chance to catch up with fellow supporters. Last year our luncheons have been sold out affairs on most occasions, so booking early is critical. Following the luncheon of course is our famous afternoon tea - the best value afternoon tea in town at just $5! 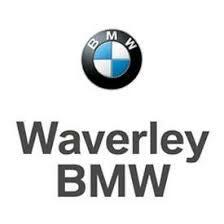 Proudly presented by our official car partner Waverley BMW, our Round 2 home game luncheon will be jam packed. We'll be joined by a special guest speaker to be announced very soon on our social channels, and our famous carvery from Spitting Image Catering will up and running, along with your first drink all for just $45pp.